Totes and clutches and purses, oh my! If you love sewing bags and purses, this is the eBook for you. Since sewing bags and purses is not only fun but totally rewarding, we figured rounding up some of our favorite free purse sewing patterns in the Sewing Bags: Tutorials You’ll Love & 15 Free Purse Sewing Patterns eBook would be a welcomed idea. Something about completing a DIY purse leaves you feeling accomplished. Taking that purse out for the world to see leaves you feeling proud. And telling your friends that you created that purse yourself leaves them feeling envious. It’s a wonderful process! Sewing bags and purses might seem a bit overwhelming at first but with our free purse sewing patterns, anyone can learn how to sew a bag or purse. Once you discover all the different kinds of bags and purses you can make, you’ll never want to stop making them! Since these projects don’t require a ton of new fabric, you can dig through your stash to make your next sewn masterpiece with scraps! And because purse and bag projects aren’t too time consuming; you can even make several in one sitting. The free purse sewing patterns found in the Sewing Bags: Tutorials You’ll Love & 15 Free Purse Sewing Patterns eBook can help deliver projects that make wonderful handmade gifts for showers, birthdays or other special events. When you’re ready to start, check out the free sewing patterns inside the Sewing Bags: Tutorials You’ll Love & 15 Free Purse Sewing Patterns eBook. Each tutorial will walk you through every step towards making a purse or bag. With step-by-step instructions and large color photos, you’ll see that even a novice sewist can feel confident taking on a free purse project. What we love about all of these purse sewing patterns is that you can spin each project to fit your personal style. Love adding colorful ribbon to things? Prefer zipper closures to metal clasps? Embellish away! You can use these sewing bag tutorials as guidelines and truly make your project all your own. Then, hit the streets wearing your new DIY purse and get ready for compliments. You’ll be sporting a look no one has seen in stores yet! When it comes to sewing purse patterns, messenger bags are some of our favorites to feature here on AllFreeSewing.com. They’re such a perfect size and they’re always in style. Discover free purse sewing patterns you can use to hold everyday belongings. For the kids or for you, messenger bags offer enough space to carry all the things you need for the day. Not to mention, with a wide side strap, these cute purses are comfortable too. Looking for awesome bag sewing patterns? Messenger bags are the answer! Fill your closet with several in different colors and you’ll be prepared for any kind of day. These free shoulder bag sewing patterns were designed to not only add to your outfit, but really come in handy. On page 42 of the Sewing Bags: Tutorials You’ll Love & 15 Free Purse Sewing Patterns eBook are instructions to make the Girly Ruffled Sling Bag. With tons of fun embellishments and color, any little girl will adore running around with this special bag. If you’re sewing for an adult, just ditch the girlish ruffles and opt for a sleeker look. You can’t wrong with these purse sewing patterns. Download your copy of the Sewing Bags: Tutorials You'll Love & 15 Free Purse Sewing Patterns free eBook. Vintage pillowcase laundry bag tutorial anyone? We’ve got an adorable idea for you on pg. 34 of the Sewing Bags: Tutorials You’ll Love & 15 Free Purse Sewing Patterns eBook. If you’ve searched high and low for a laundry bag tutorial, look no further. It’s a project that takes only a few stitches but delivers something totally useful. Throw the kids' dirty clothes in a cute laundry bag until you’re ready to tackle it. Our garment bag sewing patterns will show you how simple it is to create handy bags not only used for fashion but for your everyday lifestyle. We’ve designed the Sewing Bags: Tutorials You’ll Love & 15 Free Purse Patterns eBook to offer various kinds of bags so there’s something for everyone. 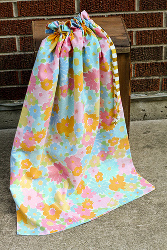 If you love all things vintage, grab a pillowcase and check out our laundry bag tutorial. Here’s one for the fashionistas out there. 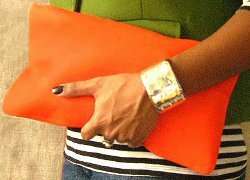 Learn how to make a clutch with a zipper using the free tutorial found on pg. 8 of this free eBook. Clutches are any girl’s go-to purse for a night out on the town. Grab the few essentials you need and carry them in style. If you’ve always wanted to know how to make a clutch with a zipper, here’s your chance! The department store clutches will set you back a pretty penny but our DIY Envelope Clutch demonstrates how to make inexpensive material look rich and pricey. No one will even know that your new, fashionable clutch was actually a DIY project! Learn how to make a clutch with a zipper and you’ll be ready to take on other zippered purse patterns. Download the Sewing Bags: Tutorials You’ll Love & 15 Free Purse Sewing Patterns eBook and get ready for an accessory makeover! Access to our free pattern library full of over 1,000 more free sewing patterns. Practice your love for sewing with the free Sewing Bags: Tutorials You'll Love & 15 Free Purse Sewing Patterns eBook. Once you subscribe to receive our newsletter, Sewing It Up, you'll see how much fun it is to be a part of our sewing community! If you've ever searched for free sewing patterns, free purse patterns, free clothing patterns or anything in-between, let AllFreeSewing.com deliver quality projects and ideas from talented designers. Check out this free eBook and the AllFreeSewing.com site to draw tons of sewing inspiration! Thank you so much for making this Sewing Bags Tutorial available, and it is free too! The patterns are lovely, very detailed and easy to follow and there are at least 4 that I want to make today, lol! The messenger bag using various different fabrics is just beautiful and is going to be a perfect gift for a special friend with a birthday coming up soon. Looks fun. Thank you very kind of you to share. Have a wonderful day! There are at least two errors in the pattern of the swim bag. I have not read through all of the others except to skim to see if any of them call for embroidery hoops. None do. In the materials section of this pattern (swim bag) it doesn't mention a T-shirt or embroidery hoops but the First step says to cut a piece of the T-shirt you are using for the main bag and to round the hem but cutting up the side approx. 5 inches. Then Step 4 (none of the other steps are numbered) says to wrap each of the two embroidery hoops in wide ribbon (no ribbon in materials list). As an experienced seamstress as well as the novice can follow the pattern instructions with no problem. I just wanted to let you know about these errors so you could tell me where the embroidery hoops come in if at all. Otherwise an awesome idea book for the best price...free! Love this site, so much information. Really cute ideas. Thanks from a long time sewer that just can't seem to come up with new ideas. Gracias, por darnos l oportunidad de realizar nuestras ideas, aprovechando las suyas.. Me gusta elaborar bolsos de manos (carteras) y cojines para muebles con diferentes disenos. I had a hard time downloading the file. But I kept trying all the links on each page until one was not corrupted. I haven't used it as of yet. But can't wait! Adoro su pgina, siempre llena de buenas ideas. Especialmente me gusta todo lo referente a bolsas en tela, monederos, neceseres, flores en tela, bordados. Muchas gracias por el libro, lo descargu fcil y es maravilloso. This would be nice, if the file weren't completely corrupted and impossible to download. I had no problems downloading the file. I give this website an A.The ideas and patterns are wonderful and I have enjoyed all the projects available.!!!!! Just downloaded the ebook and saw the projects. Can't wait to get started! Great ideas! Thanks! I have can not down load any of these e-books and can find no where else to tell you. 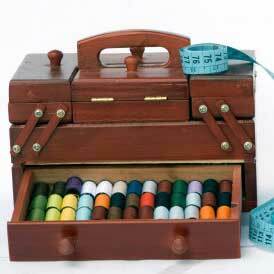 I can d/l from anywhere BUT allfreesewing,.com, this is new as I have d/l'ed things from you before. Can you please look in to it or help me somehow? I agree with the last post: Purse 1, 5, & Instructions are all identical (on pockets). Nice presentation. For a free tutorial....not bad. NICE IDEA. I'LL KNOW MORE AFTER I'VE TRIED IT. Nice idea of free patterns but there seems to be a problem with your pdf files. Everytime I open it it shuts down the page. I was so happy to get this book!!!Thanks!!!! Pretty good bag patterns. I was surprised by the variety. Looking for pattern for a bag to attach to my mobility scooter. This tutorial might be great for your mobility scooter, with a little adjustment: http://www.youtube.com/watch?v=UxNjXLdA4Rs It's designed for a stroller and I erroneously first thought you were using a walker, so now that I realize my mistake, there may be more adjustment needed. Good luck with your project -- I bet if you can make a successful scooter bag, you could sell to a hungry market of scooter users! !